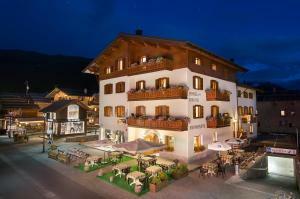 Offering a sun terrace and views of the mountain, B&B Carpe Diem is located in Livigno in the Lombardy Region, 100 metres from Livigno - Tagliede. Guests can enjoy the on-site restaurant. Free private parking is available on site. The rooms are fitted with a flat-screen TV with satellite channels. A terrace or balcony are featured in certain rooms. All rooms include a private bathroom with a bidet and shower, with free toiletries provided. B&B Carpe Diem features free WiFi throughout the property. You will find a hairdresser's at the property. Tagliede-Costaccia is 200 metres from B&B Carpe Diem, while Mottolino is 600 metres from the property. When would you like to stay at B&B Carpe Diem ? This twin/double room has a balcony. Each day we'll check prices and send you an email for your selected dates at B&B Carpe Diem. If you don't have specific dates but would like to check prices for say next weekend or say next month we can check the price too. Click to write a review and share your experience of B&B Carpe Diem with other travellers.